1770 - Corn farmers in the Kentucky region of Virginia distil their excess crop into a sweeter whiskey. Bourbon is born. Jacob Beam relocated to central Kentucky in 1788 to become a corn farmer. With having such a successful yield, he decided to make some of the excess corn into whiskey. He named his first barrel of whiskey ‘Old Jake Beam Sour Mash’ and sold it to a colonialist. From then on, it grew in popularity with farmers and traders alike. The business was passed down through the family, and in 1894 James Beauregard Beam, known to his friends as Jim, takes ownership. 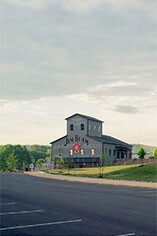 After Prohibition ended, Sixty-nine-year-old Jim Beam and his son T. Jeremiah rebuilt the distillery by hand in just 120 days. Production grew, and new techniques evolved to produce well known, high quality products worldwide. Today, the brand belongs to Frederick Booker Noe III, Jim Beam’s great grandson, who like all the Beams, has learnt the ropes by working with each different process that goes into making this iconic Bourbon. 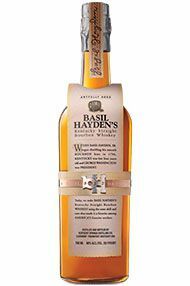 A Kentucky Bourbon with rye at its core, Basil Hayden’s has been operating since 1796. Believing the use of small grains being added to the mash would complement the traditional corn base, the recipe has largely remained unchanged. This small batch Bourbon is a relatively mild 80 proof, with an aroma of tea, spice and a hint of peppermint. To taste there are more spices, pepper and honey with a gentle clean finish.